We thought we'd reached peak Creme Egg with the Cadbury Creme Egg cashew butter, the Cadbury Creme Egg McFlurry and the Cadbury Creme Egg pizza. Heck, even the Cadbury Creme Egg omelet or Cadbury Creme Egg burger would be a natural stopping point, right? Wrong. 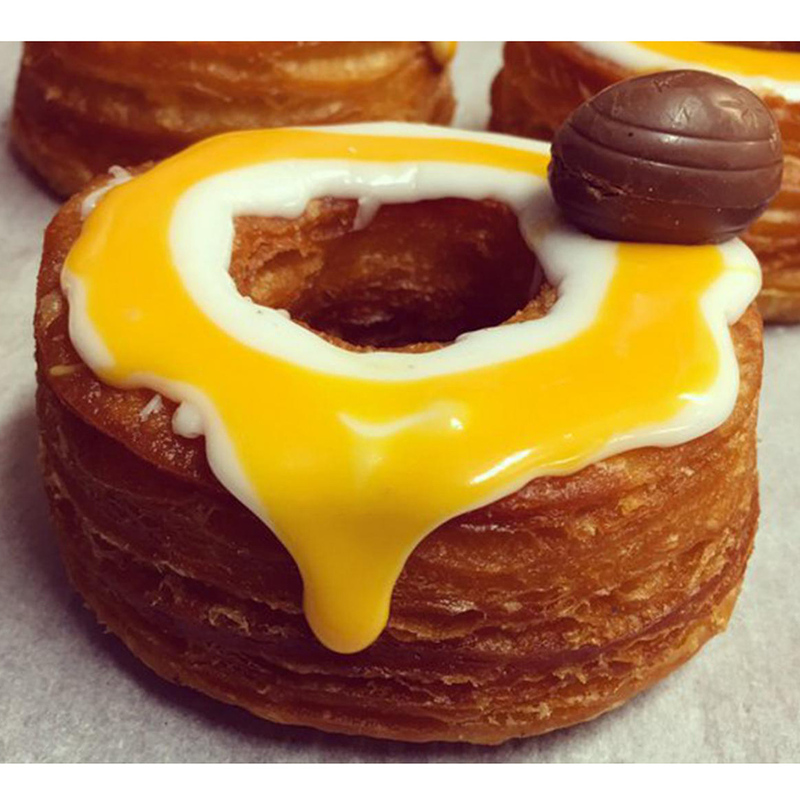 The creme egg craze is going strong, and London's Rinkoffs Bakery has now combined two insane sweets by doing a creme egg-ified version of their croissant doughnut, the Crodough (one of the many knockoffs of the once-sensational Cronut). The pasty is topped with white and toffee orange fondant to replicate the creamy, yolky center of the candy. Then, of course, the finishing touch is an actual mini-creme egg just to make sure the diabetes sets in real good. If you're headed across the pond, you can buy your own Cadbury Creme Egg Crodough for just £3 ($4.23) until March 26th.